Left Zipper and Right Zipper are both hoping they can get their own internet memes. Have I mentioned how much I like zippers? I even like installing zippers. I think that makes me a weirdo. 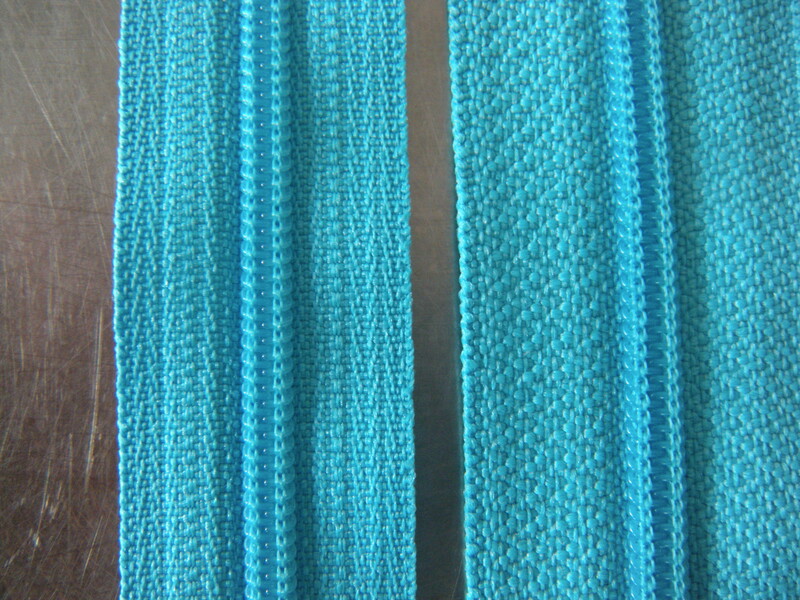 On the left is an all-purpose, regular old zipper. 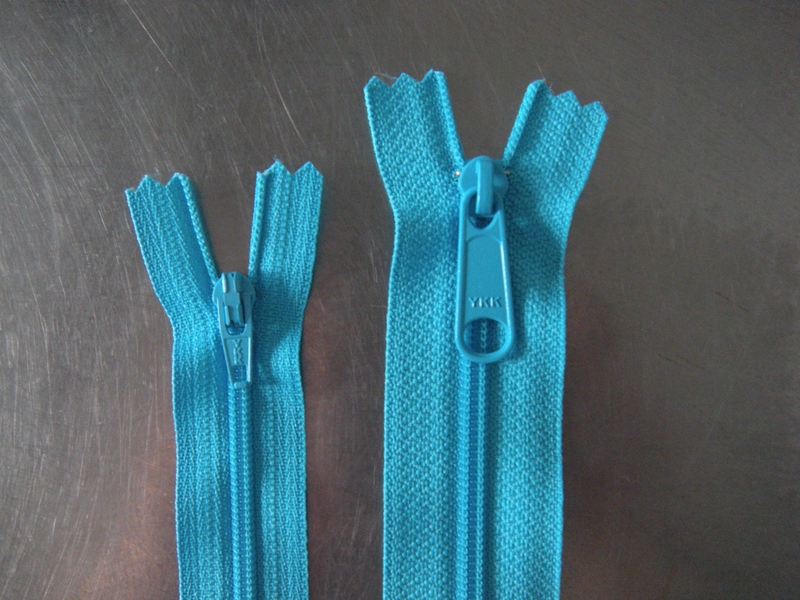 On the right is a handbag zipper. I made sure to use the same color for both examples, as I wouldn’t want you to favor one just for the color of it’s tape. Left Zipper is the one you would typically find at the fabric store, lined up like little soldiers. Right Zipper probably isn’t at your local store. Check out the differences. I’m sure you noticed the difference in the zipper tapes right away. The tape is the part of the zipper that gets sewn into whatever you’re making. 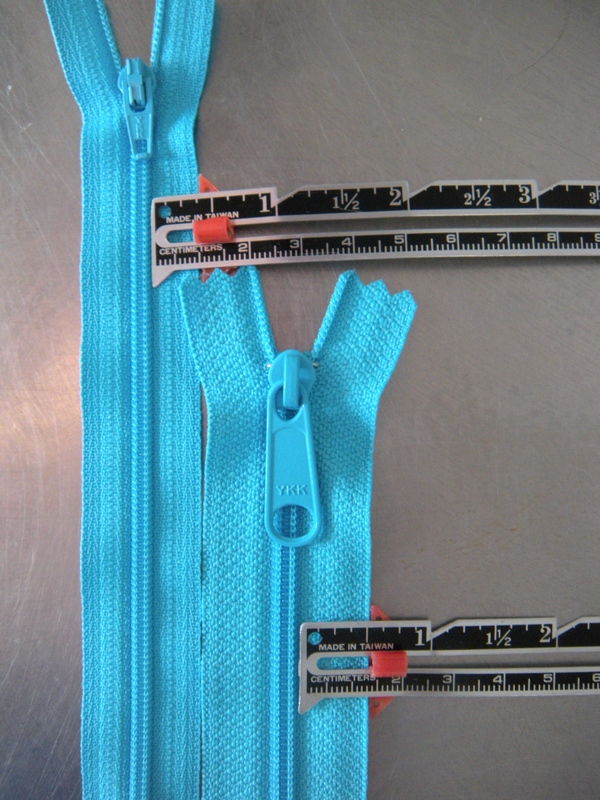 The total width of Left Zipper is just under one inch. 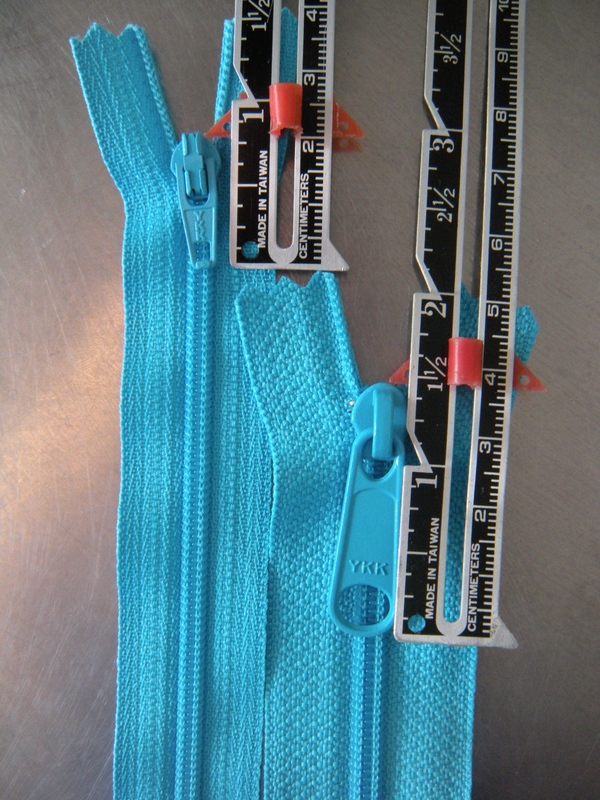 The width of Right Zipper is about 1-1/4 inch. The tape is wider and the teeth are wider. What a difference in the zipper pulls! Left Zipper comes in at about 3/4 inch, and Right Zipper at about twice that length! Makes sense, doesn’t it? Think of how often you use the zipper pull on a handbag. Look at the tape on these. Can you tell from the picture that the Right Zipper has a heavier, more substantial tape? Truth, not opinion. Left Zipper is the one that you would usually find in garments. It is more flexible and lighter. Easier to hide or blend in. Small zipper pull can be less conspicuous. Right Zipper is slightly less flexible. The wider tape makes is ideal to put into bulkier applications. The wider teeth hold up to more stress. The big pull is easier to grab, especially when you use the zipper lots…like in a handbag. Of course you can use Left Zipper in a bag! And you can use Right Zipper in a garment, but I wouldn’t. It all comes down to preference, my friends. There is no wrong, only what you like. For most of us, it takes a little more work to get our hands on Right Zipper. 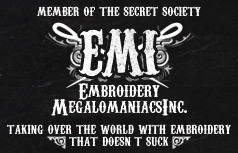 I buy all of my on Etsy at Zipperisland. There are several good vendors on Etsy that sell high-quality, YKK zippers in bulk. I keep a good supply on hand, so when I get a whim to make a new bag, I can whip out a matching zipper. And remember, you can always shorten a zipper! Just bar tack a new zipper stop at the length you need and cut off the excess. Both Left Zipper and Right Zipper objected to the idea of including that roguish relative, the Invisible Zipper, into this comparison. But look back at the first picture. Invisible Zipper snuck in on the right side of the picture. You just can’t see him because, well, he’s invisible. Previous My bathroom is blue, and now I have a purse to match! So…a bathroom photo shoot. Next After the second month, she needed a rest. Loved this left-right blog about zippers. Great information with a touch of humor! Zippers are a good thing. ‘Cause we don’t want things falling out.